AN GARDA SÍOCHÁNA crime prevention officer Paul Wallace has asked donegaldaily.com to publicise this important notice to prevent thieves and criminals ruining your Christmas. What can you afford to lose this Christmas? Remember thieves don’t take holidays!! You can afford to lose nothing! ▪ Keep a sharp eye on strange vehicles in the vicinity of your farm & elderly neighbours. ▪ Restrict access onto your property; maintain your boundary fences, hedges and walls. ▪ Install a monitored intruder alarm to your home and buildings that are vulnerable. ▪ Lighting – Illuminate areas which are overlooked from your home. ▪ Shopping – Ask at neighbour to look over your property when you are out shopping, (you can also return the favour). 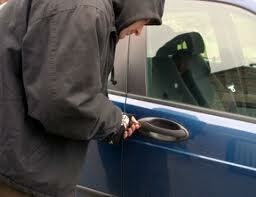 ▪ Be careful to lock your shopping/gifts in the boot of your car – remember the elves (oops) the thieves are about. ▪ Photograph machinery & equipment. ▪ Keep a record of the serial numbers markings on equipment. ▪ Use your unique code and registered number for example Garda/PSNI/IFA Scheme in the Northern Garda Region. ▪ Use overt and covert marking i.e. Obvious and Hidden marking. ▪ Check on older persons over the Christmas & New Year Holiday Periods. ▪ Remember older people love to receive a visit, or telephone call it can be that simple. ▪ Older people in isolated, rural mountainous areas are especially vulnerable at this time of year.